Make your goals a reality! Learn from the Best!! Working one on one directly with a personal trainer is the ultimate fitness experience. The sure fire way to quickly achieve, maintain and continuously improve the body you want while infinitely staying on top of your fitness game. Personalized and intimate sessions are driven by constant assessments of YOUR strength, endurance and body composition. Our one on one personal training sessions are always reserved for the same times and there will never be more than 3 other clients in the studio during your session. 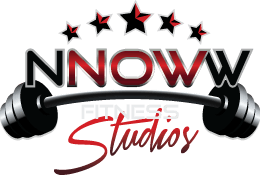 All of our clients here at NNOWW Fitness also have complete access to meal plan help and nutritional guidance as well. Please contact us for additional pricing and other special promotional rates!